Ice fishing is popular, but the Pennsylvania Fish and Boat Commission reminds anglers to make it a safe activity. 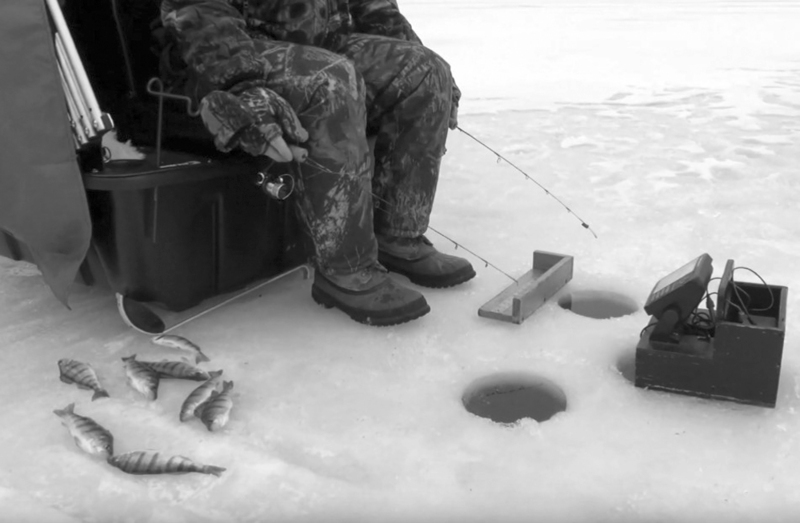 HARRISBURG — The Pennsylvania Fish and Boat Commission reminds winter anglers to keep safety in mind while enjoying ice fishing. ¯ Always wear a life jacket or float coat while on the ice. Avoid inflatable life jackets, which do not perform well in freezing temperatures. ¯ When arriving at the water’s edge, visually survey the ice. Look for open water areas and signs of recent changes in water levels. Ice sloping down from the bank can indicate a recent drop in water level, while wet areas on the ice can indicate a rise in water level. ¯ Listen for loud cracks or booms coming from the ice. This can be an indicator of deteriorating ice. ¯ Look for new ice, which is clear or has a blue tint. New ice is stronger than old ice, which can appear white or gray. ¯ Remember that ice thickness is not consistent across the surface of the lake or pond. ¯ Beware of ice around partially submerged objects such as trees, brush, embankments or structures. Ice will not form as quickly where water is shallow or where objects may absorb heat from sunlight. Never walk on ice that has formed over moving water such as a river or stream and never go out on ice alone. Always let someone know your plans and when you expect to return. For more information, visit the Fish and Boat Commission’s Ice/Winter Fishing webpage.